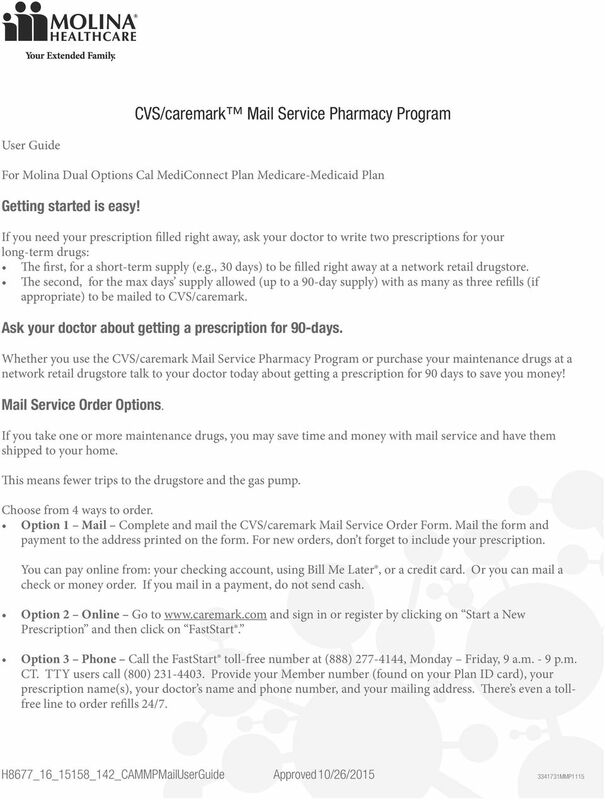 Download "CVS/caremark Mail Service Pharmacy Program"
2 Option 4 Doctor Give your doctor s office the toll-free FastStart doctor number, (888) , TTY (800) , and ask your doctor to call, fax, or eprescribe your prescription. To speed up the process, your doctor will need your Member number (found on your Plan ID card), your date of birth, and your mailing address. That s it! Once CVS/caremark receives your order and payment (if required) it should take about 10 days for you to receive your order. Find out how easy it is to have prescriptions shipped to your home. There s even a toll-free line to order refills 24/7. If your order does not arrive in about 10 days please call CVS/caremark at (888) , TTY (800) , Monday Friday, 9 a.m. - 9 p.m. CT. Refill Prompts. 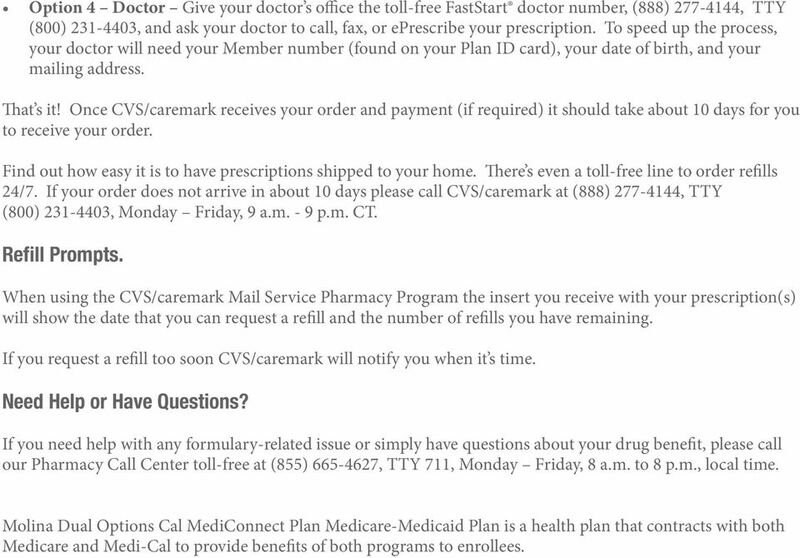 When using the CVS/caremark Mail Service Pharmacy Program the insert you receive with your prescription(s) will show the date that you can request a refill and the number of refills you have remaining. If you request a refill too soon CVS/caremark will notify you when it s time. Need Help or Have Questions? If you need help with any formulary-related issue or simply have questions about your drug benefit, please call our Pharmacy Call Center toll-free at (855) , TTY 711, Monday Friday, 8 a.m. to 8 p.m., local time. 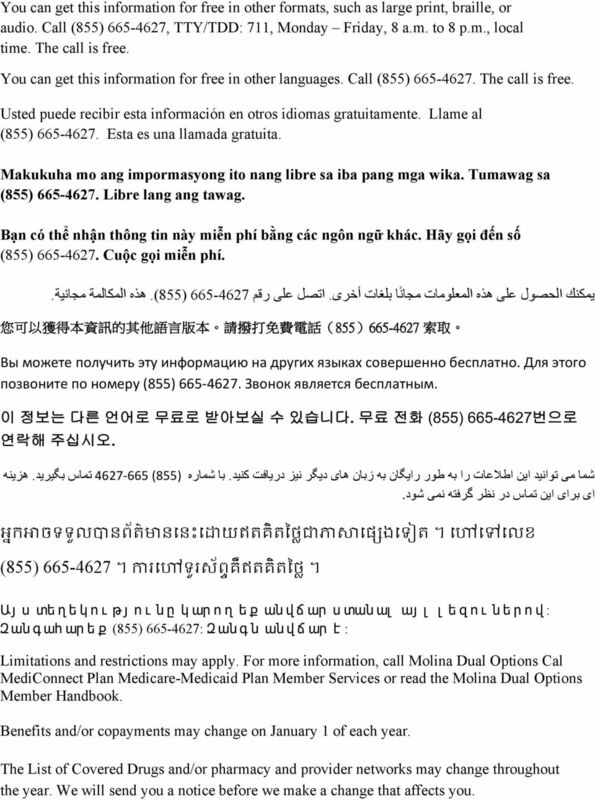 Molina Dual Options Cal MediConnect Plan Medicare-Medicaid Plan is a health plan that contracts with both Medicare and Medi-Cal to provide benefits of both programs to enrollees. 5 C Tell us about the people ordering prescriptions. If there are more than two people, please complete another form. First person with a refill or new prescription. Gender: M F Spanish forms and labels Suffix (JR,SR) Date of Birth: MM-DD-YYYY Date new prescription written: Last Name First Name MI Address: Doctor s Last Name Doctor s First Name Doctor s Phone # Tell us about new health information for 1st person if never provided or if changed. Allergies: None Aspirin Cephalosporin Codeine Erythromycin Peanuts Penicillin Sulfa Medical Conditions: Arthritis Asthma Diabetes Acid Reflux Glaucoma Heart Problem High Blood Pressure High Cholesterol Migraine Osteoporosis Prostate Issues Thyroid Second person with a refill or new prescription. Last Name First Name MI Address: Gender: M F Date of Birth: MM-DD-YYYY Date new prescription written: Spanish forms and labels Suffix (JR,SR) D E Doctor s Last Name Doctor s First Name Doctor s Phone # Tell us about new health information for 2nd person if never provided or if changed. 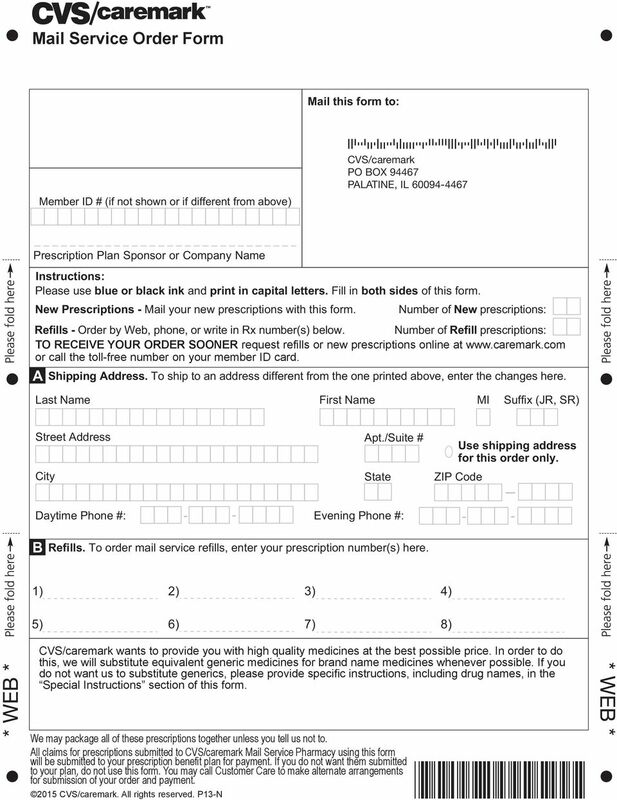 Allergies: None Aspirin Cephalosporin Codeine Erythromycin Peanuts Penicillin Sulfa Medical Conditions: Arthritis Asthma Diabetes Acid Reflux Glaucoma Heart Problem High Blood Pressure High Cholesterol Migraine Osteoporosis Prostate Issues Thyroid Special Instructions: How would you like to pay for this order? (If your copay is $0, you do not need to provide payment information.) Electronic Check. Pay from your bank account. (You must first register online or call Customer Care.) Use my PayPal Credit account. Works like a credit card. (You must first register online.) Credit or Debit Card. (VISA, MasterCard, Discover, or American Express ) Use your card on file. Use a new card or update your card s expiration date. Exp.Date MMYY Check or Money Order. Amount: $. Make check or money order out to CVS/caremark. Write your prescription benefit ID number on your check or money order. If your check is returned, we will charge you up to $40. Payment for Balance Due and Future Orders: If you choose Electronic Check, PayPal Credit, or a Credit Card or Debit Card, we will also use it to pay for any balance that you owe and for future orders. Fill in this oval if you DO NOT want us to use this payment method for future orders. MOF WEB 0715 MTP Credit Card Holder Signature/Date Regular delivery is free and will take up to 10 days from the day you send this form. If you want faster delivery, choose: 2nd Business Day ($17) Business days are only Next Business Day ($23) Monday-Friday Faster delivery charges may change. Faster delivery is for shipping time only, not processing. Faster delivery can only be sent to a street address, not a PO Box. You can end your membership in Aetna Better Health Premier Plan at any time. Medication Therapy Management Program. A service for better understanding and managing the drugs you take at no additional cost to you. P.O. Box 52424, Phoenix, AZ 85072-2424 SilverScript Choice (PDP) offered by SilverScript Insurance Company Annual Notice of Changes for 2015 You are currently enrolled as a member of BlueRx Standard (PDP). PO Box 17168 Winston Salem, NC 271167168 (PDP) 2015 Individual Enrollment Form for Medicare Prescription Drug Plan Please contact BCBSNC if you need information in another language or format (Braille). Below are some frequently asked questions that will provide you with valuable information. 2. Please read carefully, print neatly and complete the entire Enrollment Form, including the Enrollment Checklist. Vantage Health Plan, Inc. 130 DeSiard Street, Suite 300. Monroe, LA 71201. Vantage Health Plan, Inc.
TM Application for Health Insurance Your destination for affordable health insurance, including Medi-Cal Covered California is the place where individuals and families can get affordable health insurance. Classic Plan (HMO-POS) Offered by Health First Health Plans You are currently enrolled as a member of the Classic Plan (HMO-POS). Next year, there will be some changes to the plan s costs and benefits. Central Health Medi-Medi Plan (HMO SNP) offered by Central Health Plan of California!nnual Notice of Changes for 2015 You are currently enrolled as a member of Central Health Medi-Medi Plan (HMO SNP). 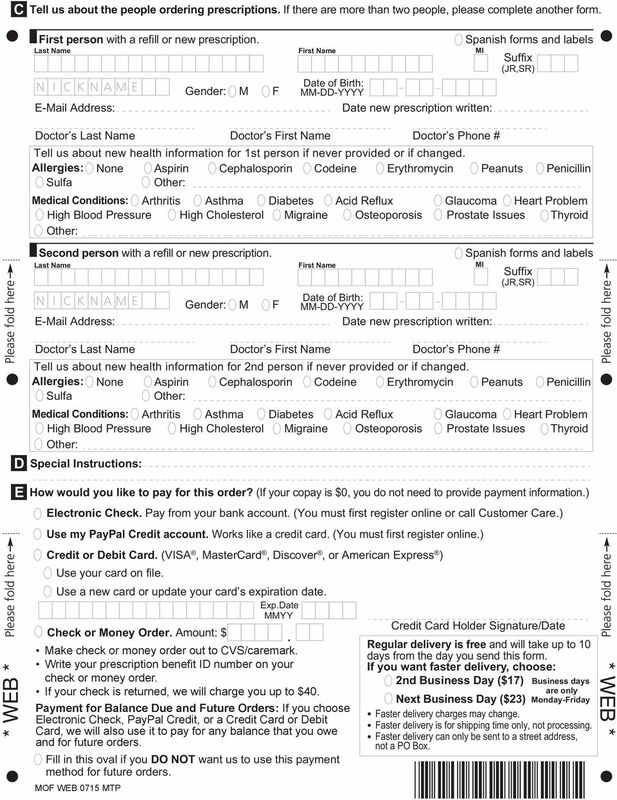 Keep a copy of this form for your records Commonwealth Coordinated Care Enrollment Application Form To join a Commonwealth Coordinated Care plan, you must have Medicare Part A, Medicare Part B, and Medicaid. Pharmacy Handbook Understanding Your Prescription Benefit 1 Welcome to Your Prescription Drug Plan! Health Republic Insurance of New York has partnered with US Script to manage your prescription drug benefits. How to Use Your International Student Insurance Plan For the Students of Presented by YOUR INSURANCE ID CARD Your ID cards will be sent to you after the start of Fall term (or Spring if you are newly enrolled).